Last season’s Wisbech Town skipper Sam Rippington has joined East Anglian Premier League side Burwell. It’s a step up in standard for the Cambs’ Minor Counties left-arm pace bowler who also used to play for Ramsey and Nassington. Club legend Gary Freear is expected to skipper Wisbech’s Cambs Division One campaign which kicks off on April 22. 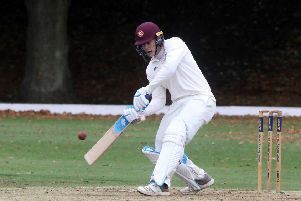 Prolific Aussie Jack Hargreaves is returning for a second season at Harecroft Road.